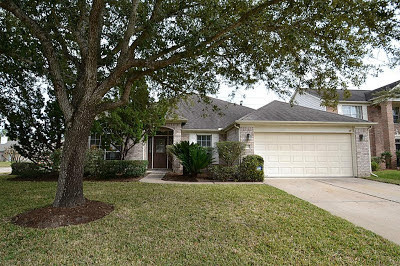 I closed on the sale of my home in Katy, TX four years ago today. I almost didn't make it to the closing because I foolishly ran the Tank out of gas a half mile from the title company's office. My realtor brought me a gallon of gas from a nearby gas station and I made it to the closing with minutes to spare. The Mini's great kitchen including microwave. 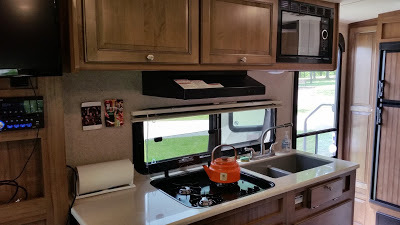 I love the nomadic life and have enjoyed seeing and camping in some of the most beautiful areas our country offers. 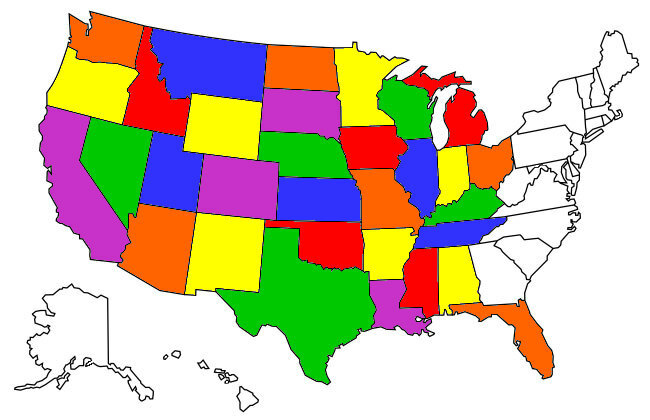 I know I've only scratched the surface in four years, heck if you notice the map of states I've camped in I'm still missing the eastern third of America! I need to get busy!